Dogs love oatmeal too, least mine have on a cold mornin. ben and jerrys introduce new ice cream flavor. 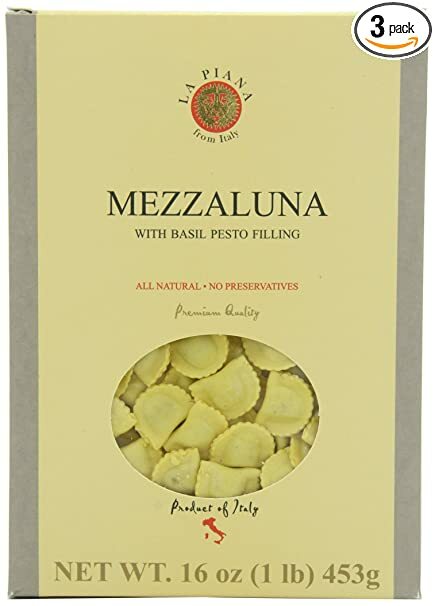 Has anyone tried Pronto Pasta? I get the Barilla microwave pasta meals for quick meals at home. Has anyone repackaged them and cooked them on the trail using their camp stove and a cook pot ? They are modern MRE and they do not dehydrate well as they will be tasteless. They are heat and ready to go, but require clean up. Check out FBC instead. At World Market. Mix with Knorr Parma Rosa sauce mix. BTW, World Market seems to have discontinued this product (bummer). I contacted the US Importer of this product and they hooked me up with a local Italian grocer that carries it. Uhm. I see no reason to dehydrate pasta. If I take one of these pasta dinners on a hike, I'll cook the pasta in a small amount of water then add the saue that comes with it. OK Jim you stumped me. Clearly I took the time to look up the quick meals and they are heavy and full of water. Hense MRE. Nobody would take the time to dehydrate them as they would be tasteless, just saying cus if you did it as I did some time ago.... you would reach the same conclusion or what are we talking about or am I confused. Dehydrating pasta is a waste of time and effort. I am a fan of Barilla. I thought you were suggesting I dry the Barilla quick meals. I was asking if they would work out camping by cooking the pasta and then adding the sauce. So your answer to my question confused me. I sometimes confuse easily. I have never removed microwave-ready food from the package and boiled it. Would cooking times be the same as the traditional item? I mean, would you boil the microwave pasta the same amount of time as dry pasta? I don't even know what they do to food to make it microwave ready. And you may not really want to know. coming to your local mega mart in december. 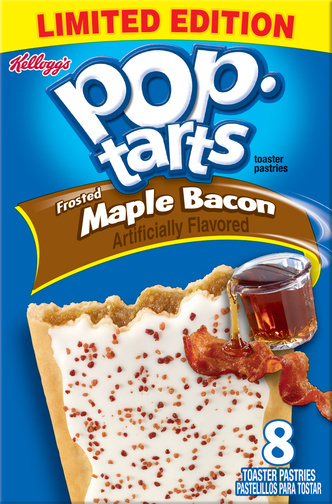 i occasionally had pop tarts on my thru as a snack and cut off the front of the box and used it as a postcard. Since it is a one minute meal... likely the pasta is alrady partially cooked. And the microwave is just completing the cooking or heating it up. If you experiment with these at home let us know the results. I searched for info on shelf-stable, microwave meals and couldn't find exactly what I wanted to know. This looks like a good resource though. I did check the label on the 'Pre-Cooked Bacon' package after I bought it. Says to refrigerate after opening. I've heard about 'shelf stable foods' not being healthy. I'll look at bacon bits and see what the label says. I'll take my reading glasses this time. I might try the experiment with the microwave Barilla on a campfire instead of microwaving it. edit: Well, I'll cook the pasta in a cookpot and add the sauce and see how it tastes. The bacon says to refrigerate after opening, but it seems to be fine on the trail for the few days it lasts! I think it is just the usual warnings, bacon is well preserved, just like they tell you to keep cheese in the refrigerator. Before we had refrigeration, both were ways of preserving food. Unwashed eggs will keep for a month without refrigeration. Don't be scared. I love cous cous. Isralie has more texture but has to be simmered. Morrocan is like instant rice, just ad boiling water. It will asorb the flavor you add to it. I buy it in bulk from amazon amazon.com/gp/product/B002YR7A…AHJQKS&ref_=pd_bia_yo_t_4. Unless it's really hot I make milk last at least 2 days by wrapping it in tp and keeping it wet. Put it in a supermarket plastic bag in the water bottle pocket. Try to keep it on the shaded side of the pack. I prefer going with Nido. I've gotten where I prefer it over fresh milk. Have to state a disclaimer that I pretty much eat & drink trail food year round living off the grid. My problem in in the past year has been foods I could eat before, like macaroni and cheese, tend to induce the old green apple quick step in me these days. I did heat the pre-cooked bacon on the house stove, not my backpacking stove, and it tasted good if somewhat greasy. For lunch today I'm going to try some angel hair and herb pasta with a bag of bacon jerky mixed in. bacon jerky...is it cooked prior to dehydration? The post was edited 2 times, last by jimmyjam ( Dec 5th 2015, 3:07pm ). Today's lunch experiment is cheesy hash browns with lite spam. Lite spam because I gotta watch those calories some when I'm not hiking. I let it re-hydrate for 20 minutes. Potatoes still could have cooked just a little longer but it's very tasty and I would definitely eat this on the trail. I tried Barilla Pronto spaghetti this week. It's an interesting pasta in that it absorbs water rather than cooking in water and draining. I cooked this at home and didn't like it. I followed the directions and watched it carefully but at 8 min, the water was completely absorbed and the pasta started sticking to the skillet. It tasted overcooked and slightly mushy, even though it wasn't cooked the full 10 min. I think it still has interesting trail possibilities but I wouldn't choose it over angle hair pasta or Annie Chun rice noodles. A heads up if anyone is interested, Progresso and Campbell have started putting some products in foil packs and veggies in plastic cups. I tried chili with a cup of corn mixed in one night, was really good, corn added a little crunch which I liked. Also had beef stew one night with a cup of mixed vegetables added in, it was good also. I've gotten to the point I'd almost as soon eat clean dirt as dehydrated meals, two things I have become committed to doing: 1) sleeping good. 2) eating good, I haven't been doing well at either and both just wear me down. Ever thought about moderation is healthy and being overweight isn't? Shelf Stable foods commercially made have too much seasoning salts, Saltpeter, nitrates, High Fructose Corn Syrup...etc. you get the idea... If you eat a hot dog today I can guarantee you won't croak tomorrow. In fact most of these people from 2013 are still alive..
Ah no need 4-5 hours in a Nesco Dryer at 160° with all that suflite it won't go bad or rancid...I have eaten it 4 weeks later at room temp... still here. OK let me try this... Instead of Microwave pasta that has lots of water - watch this video / its half or 2/3 less weight to carry and an average package makes 2 meals. Does this answer your question better? Looks like lots of work... I can cook, but I hate having to do it while out camping. Which is why I prefer to use MH meals. Or those dehydrated vegetables I bought a few months ago as suggested in here. I like a packet of dehydrated mince and another packet of dehydrated vegetables (our equivalent of Mountain House makes both). I add a bit from each to a packet of ramen and add a good dose of soy sauce. Gets me to my next steak. I tried the commercial Ramen some years ago... made me ill. I've been asked if I used the flavor/spice packet and I didn't. So I'm not sure why it made me ill. Regular pasta I can cook rather well, at home on a regular stove. I don't remember ever cooking pasta on a camping trip. I might try it on a car camping trip and see if I can handle the process there. Oz what the heck is Dehydrated Mince? as in Mince Meat? sounds a little like mystery meat that my English mum used to serve us. I did notice it's much more common over here. It's not hard to make your own dehydrated, not freeze-dried. However while in England immensely enjoyed mince as it was loaded with roast beef vs. the week-kneed version available in Utah mostly around Thanksgiving. I should make some soon.